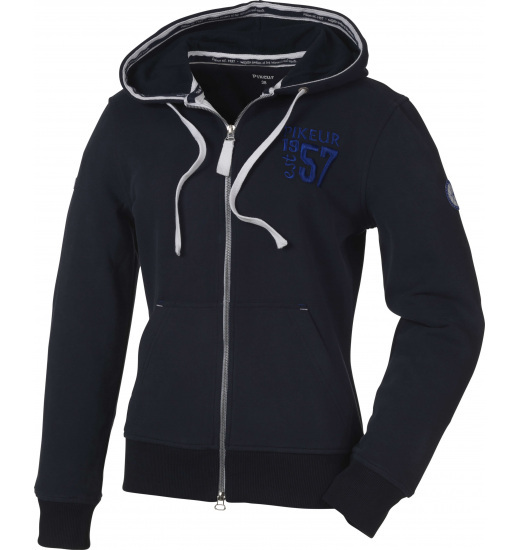 Classic, sporty, cotton sweat jacket PIKEUR EMMA. Edge of the hood trimmed with decorative tape. Zippered, has two pockets and waist- and wristbands. On the left chest and left shoulder embroidered logo with PIKEUR motif. 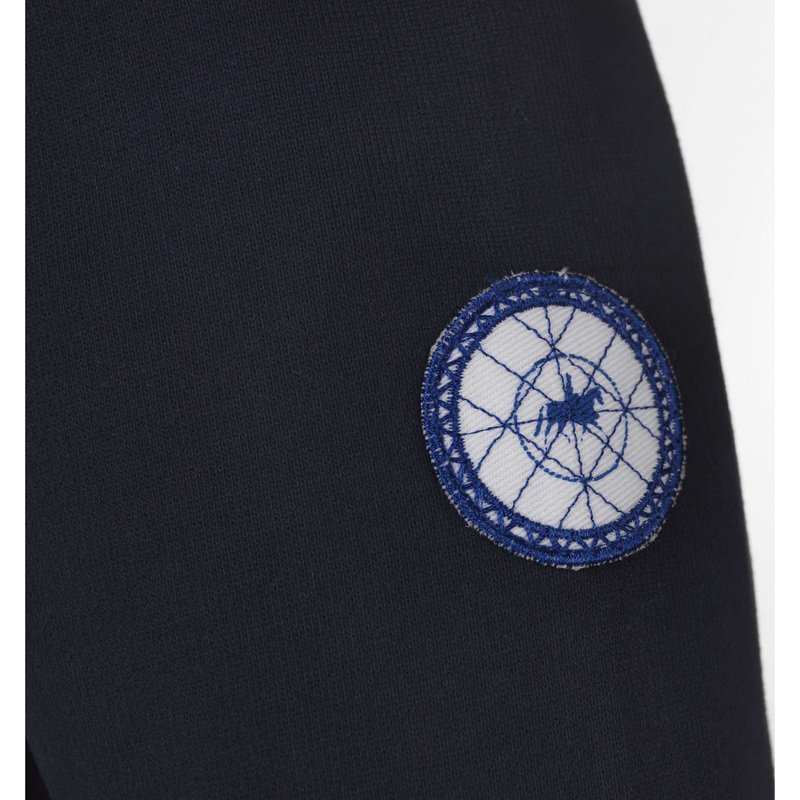 On the right sleeve PIKEUR patch.